A very simple way to emulate mobile browsers within chrome, is to press F12, then the Settings cog in the bottom right hand corner. 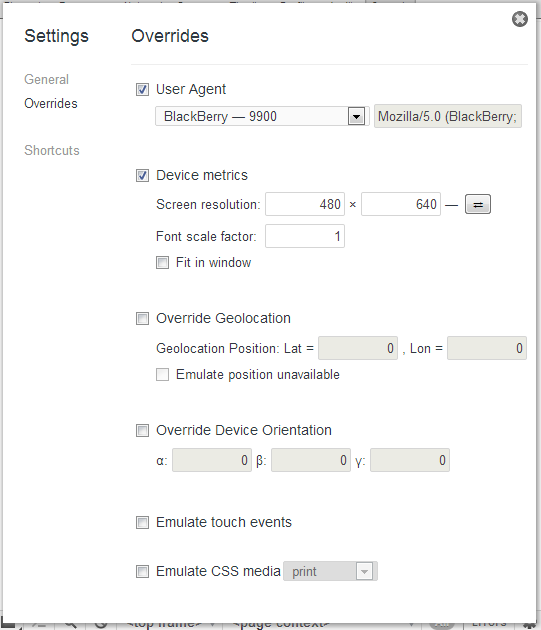 then press “Overrides”, and you can modify the user agent, screen resolution. Here you can also override geo location, orientation, and even preview CSS as a printer. – Although don’t expect this to be anywhere near as authentic as using a emulator or real device. It’s a good start, that’s all.